There are a number of challenges facing the building industry in Auckland, around scale, quality, efficiency and price. Scaling up the building sector raises questions: What are the crowd-out risks for other sectors in Auckland, as the building sector tries to outbid them for labour and materials? How can public policy better support industry to meet various sectors’ needs? ‘Workforce skills roadmap for Auckland construction’ to support skills sector growth. Recent analysis commissioned by the Council suggests house prices are high because of anticipation of redevelopment opportunities enabled by the Proposed Unitary Plan once it becomes operative. 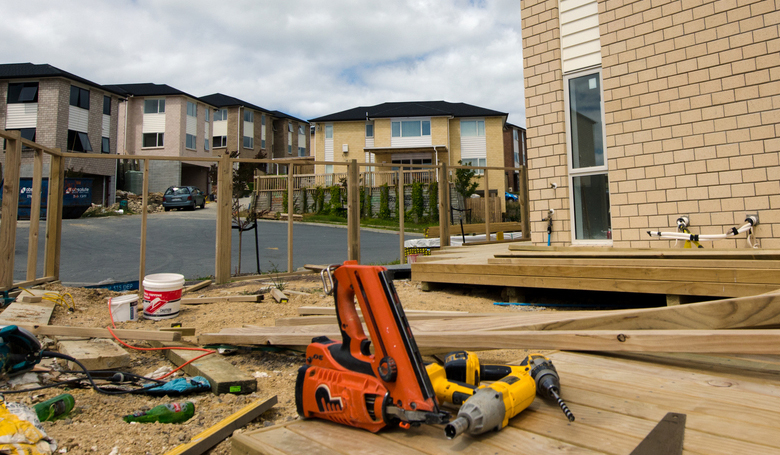 Builders and tradespeople may move from Christchurch to Auckland as the rebuild ramps down, but capacity challenges will remain. The cost (excluding land) to build the average 200m2 house is not far off $400,000 — about five multiples of Auckland’s median household annual income (of approximately $80,000). Contrast this with the ideal ratio of three to one, including land. councils (as building consent authorities) being excessively risk averse and stymieing innovation in design, materials and construction techniques. desired by buyers, but they didn’t really know how to express their demand for it. Project managing a house build is tough: some 20–25 subbies are required each build (with a high level of specialisation of trades), plus multiple visits from building inspectors. Auckland Council building control staff struggle with significant industry quality issues, with 25%–40% of all building inspections failing. A council’s role ought to be limited to compliance (e.g. auditing quality assurance processes), but inspectors often find that quality assurance isn’t being done at all. So councils fill the vacuum. That’s because they are liable for potentially all the harm caused by others (because of the government’s joint and several liability rule) and because they have a legally defined ‘duty of care’ to consumers. So they effectively start micromanaging builders, which in turn repels builders. The government needs to think more carefully about replacing the ‘joint and several liability’ rule with ‘proportional liability’ (like Australia). People and organisations including councils should be liable only for the losses they contribute, not for losses out of all proportion to what they caused. At the moment building firms are incentivised by the joint and several rule to be extremely small for two reasons. One, so that they can personally supervise build quality (rather than delegate). The other, so they can disappear from plaintiffs, and liquidate (or ring-fence assets) so that they are not left carrying all the liability caused by other people. This change would reduce the incentives for firms to be extremely small, and will help them to achieve efficiencies of scope (i.e. different trades and skills in-house) and scale (i.e. more work). Larger firms can support more management overheads to undertake project management, quality assurance, and investment in staff. Inspectors would likely cut builders some more slack, which will improve efficiencies and help address key issues about attracting and retaining staff in the industry. The Productivity Commission raised their concerns that current liability rules exacerbate the cottage industry structure, and thus its conduct and poor performance in its 2012 housing affordability inquiry. It asked the Law Commission to consider the impact on industry structure, conduct, and performance when advising the government on whether to keep or change the ‘joint and several liability’ rule. The Law Commission didn’t. So the advice to retain the rule that the government has received is incomplete. supporting skills training (both new recruits/apprentices and more senior skills such as project management, business management etc). where emphasis should be placed on improving the quality of construction sector regulation. There has been a lot of focus on how land use regulation affects Auckland’s house prices. But that may be largely overcome once Auckland Council’s Proposed Unitary Plan is updated and becomes operative, possibly by late 2016. 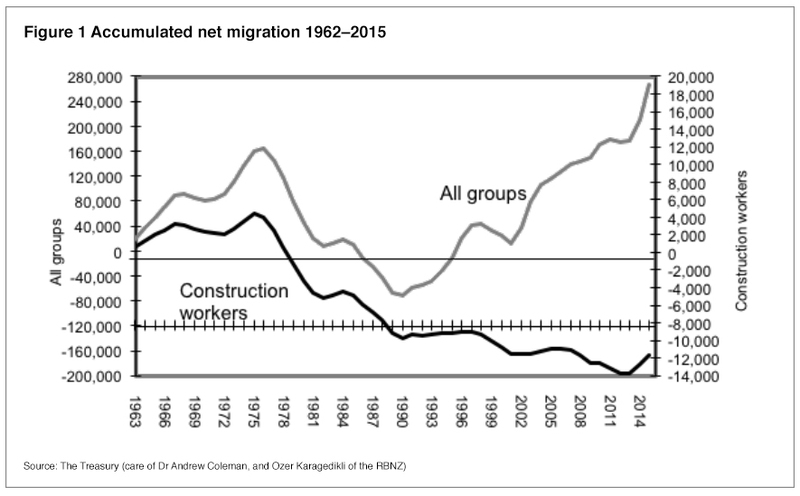 Challenges in the residential construction sector, though, will need to be addressed if housing supply is to increase fast enough to meet demand. 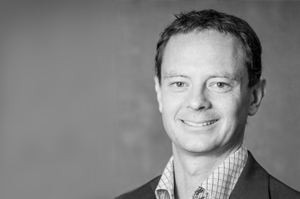 Chris Parker is Chief Economist at Auckland Council. Prior to joining the council at the beginning of the year he was a consultant. Chris specialises in economic appraisal of policy, regulation and investments. He has undertaken industry studies in residential construction, civil construction, and he specialises in cost-benefit analysis of major infrastructure projects that change the evolution of cities.